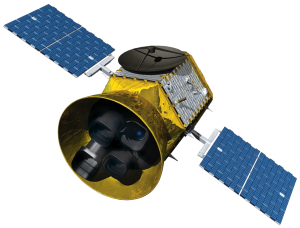 TASC is a large and unique scientific collaboration formed around the high quality TESS data. In contains more than 500 scientists from all over the world. TASC maintains a database (TASOC) with TESS data in several data formats as well as processed and analysed data. Collaboration within TASC contains a well-defined publication strategy and a well-defined boundary for collaborations. The working group structure is an optimized collaborative structure and initiate collaboration between many individual researchers and research groups around the world. Postdocs and PhD-students will via KASC find an easy and direct way to take part in collaborations. The TASC ensures coordination between WGs and coordination of ground-based follow-up, public outreach etc. It is important that new TASC members read the document on "TASC Strategies and Policies" (SAC/TESS/0003). All TASC members have unrestricted access to all TASC-data. Access is password controlled and data downloads are logged. TASC is based on collaboration and we expect that all members that contribute significantly to a given data set (analysis, modelling, ground-based follow-up etc.) should have the possibility to be on publications related to that given data set. Decisions on authorship will take place at the WG-level and we encourage collaboration. All data are public and the WG-publication guidelines need to ensure that TASC-membership is a benefit compared to non-TASC members. There is no formal approval of papers. Papers can be submitted at any time but any paper should go through an open TASC review before it is submitted to a journal. New members will need to register via the TASOC webpage (See below). We require that members of TASC follow the policies and strategies as described in TASC Strategies and Policies (SAC/TESS/0003). Chairs: Bill Chaplin, Daniel Huber. Chairs: Thierry Appourchaux, Bill Chaplin. Chairs: Sarbani Basu, Saskia Hekker. Chairs: Victoria Antoci, Margarida Cunha. Chairs: Peter De Cat, Gerald Handler. Chairs: Katrien Kolenberg, Robert Szabo. Chairs: Victor Silva Aguirre, Dennis Stello. Chairs: Stephane Charpinet, JJ Hermes. Chairs: Rasmus Handberg, Mikkel Nørup Lund. Chairs: Daniel Huber, Marc Pinsonneault. Chairs: Marc Pinsonneault, Andrew Tkachenko. After registration you will get access to the password-protected section of the TASOC website. You will also be contacted by the WG-chair(s) of the relevant working group(s) with the aim of discuss the coordination of work within the WG's. Any questions regarding the above procedures or the TASC policies, can be directed to Hans Kjeldsen (hans@phys.au.dk). I would like to recieve e-mails from the TASC-News-mailing list. I have read and understood the TASC Strategies and Policies.